This London-based coachbuilding company (1934) got its first contract from Railton which explains why it is the VP of today’s Railton Owners Club who wrote this book. Always on the brink of financial disaster this small firm bodied American Terraplanes and Hudsons, German Adlers, French Delages, alongside all sorts of British machinery. It took a brave coachbuilder to start a custom coachworks in the early 1930s but that’s what Percy Twigg did in March 1934 when he set up Coachcraft Ltd. in west London, backed by Captain R O’Neill Butler. 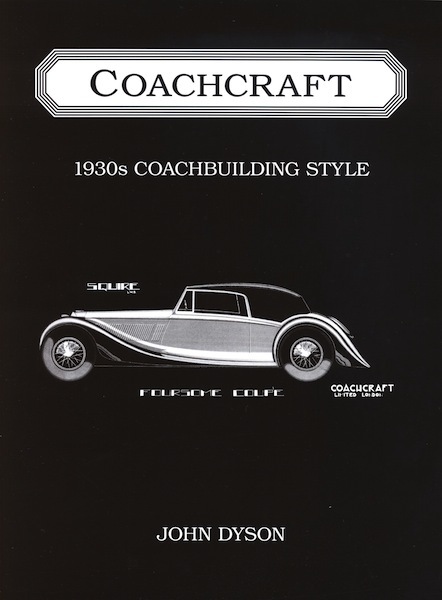 The word coachcraft itself, later adopted by a US company, had been used by other coachbuilders when extolling their work in advertisements but Twigg seized it as his new endeavor’s name. It had the right ring to it. Many traditional coachbuilders had already ceased work by this time as the impact of factory-made standardized offerings and pressed steel bodies took its toll, leaving a diminishing number of coachbuilders for the top end bespoke market. 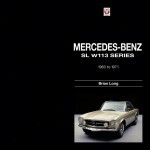 Twigg’s generation of coachbuilders however, mostly based in west London, saw an opportunity for a different approach. Not all were as successful as Coachcraft, which built 1448 bodies, but they all aimed to garner orders for batch bodies—small runs of sports cars, bodies for makes with small production runs, and niche market offerings on mass-produced cars by utilizing the hoods and fenders from the carmakers’ standard bodies to reduce costs. All of these had to be inexpensively produced, at the same time retaining the aura of being coachbuilt that was part of the marketing ploy. Both Coachcraft and competitor Ranalah had the additional benefit of tie-ups with Southern Motors or Jack Compton for the range of Rolls-Royce “Replicas” after 1936 and these provided a steady flow of work. One fascinating chapter, Designs and Models, will appeal to those interested in the Anglo-American hybrid cars of the 1930s and in particular the role of Noel Macklin and Reid Railton. It wasn’t always easy to style a body to suit the chassis lengths and layout of the foreign “donor” chassis whilst also imposing English ideas about elegance. 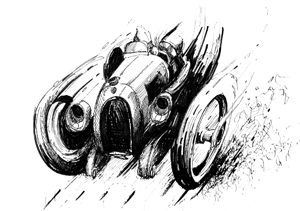 John Dyson evokes this period market and the players in it with ease, as you’d expect from someone so familiar with both the hybrid Railton, and the Hudson, which Coachcraft bodied in great numbers. Warwick Wright, A P Compton and many others figure in the wider story he tells of similar newly-established coachbuilders. Where Coachcraft had the advantage over the other small coachbuilders was in their designer, Geoffrey Durtnal. Like coachbuilder Gurney Nutting with their legendary A F McNeil, Durtnal provided Coachcraft with the flair the others could not easily match. In 1936 he was sent for additional training to Henri Chapron in Paris and his styling reached new heights when Coachcraft made Delage bodies that interpreted the French originals. This study contains superb period color renderings from the hands of Chapron, de Villars, Durtnal, and many body line drawings, as well as a wealth of period and recent illustrations of the many makes bodied by Coachcraft. An almost complete body register (Durtnal’s own) is also included. Coachcraft always struggled financially; whilst its costs for materials and labor were the same as for all makers it could not charge a premium (which the top-end coachbuilders could do) because its operation depended on keen body prices. During the war it did valuable work on fittings for Macklin’s “Fairmile” patrol boats and in 1946 it eventually succumbed to a takeover by University Motors. Over the following years the business was switched to other activities and today, under a different name, it is a leading player in the aeronautical components industry. As a wide-ranging study of an intriguing interlude in 1930s coachbuilding, or just for the superb cover illustration alone, this book deserves a wide readership. I have to declare an interest inasmuch as I provided some material on the “Replicas” but nothing can detract from John Dyson’s handling of the period coachbuilding scene. 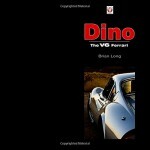 The book is also the third to be issued by the Railton Owners’ Club and is a credit to them. Copyright 2011, Tom Clarke (speedreaders.info).